Update: The data and chart have been updated to include the full 2016 calendar year. Almost every month, at least one person complains about why InWorldz is listed in our stats, or included in our surveys. Some people complain that InWorldz is not on the hypergrid, meaning that people can’t teleport in and out to other grids. Others that it is running its own branch of the OpenSim software. While most OpenSim grids today are hypergrid-enabled, not all are. 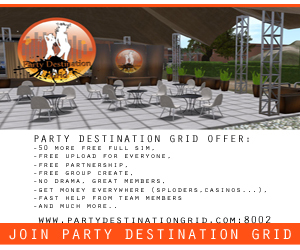 In addition to InWorldz, two other popular closed grids are Virtual Highway and DreamNation. Grids remain closed for a number of reasons, including content security, because they have proprietary role playing games, because they have school children on their grid, or because they want to offer extra protections for groups concerned about personal safety. Many grids run non-standard version of OpenSim. Kitely, for example, has a set of customizations that allow it to offer a cloud-based on-demand region hosting. Many grids run the DivaDistro, ArribaSim, and WhiteCoreSim. InWorldz has open-sourced their version of OpenSim, called Halcyon, and the U.S. Army is now using for its Moses grid. It does not currently have hypergrid support, and they’re working on a web-based viewer right now, but they do say they’ll add hypergrid in the future. For most of its history, InWorldz has been bringing large numbers of new users to OpenSim. The hard part, for most people, is setting up the viewer to log in to a new grid in the first place. Once you’ve done that once, it becomes easy to explore other OpenSim grids. InWorldz spends money — quite a bit of money — advertising its grid, and looking for new users, many outside the current Second Life-OpenSim ecosystem. To find out just how many new users InWorldz brings in, I looked at their registration numbers. These aren’t particularly controversial numbers. There’s no profit for grids to inflate them artificially. People usually care more about how much land a grid has, and how many active users it has. In addition, the number of registered users depends mostly on the age of a grid — the older the grid, the more users will be on its rolls, since grids tend not to delete old user accounts unless users specifically ask. In almost every year for which I have data, InWorldz has been the top grid when it comes to registering new users. In fact, in 2011, 2012, 2013, 2014 and 2015, InWorldz was single-handedly responsible for about a third of all new registrations of all the public OpenSim grids. And yes, InWorldz is not on the hypergrid, but its users do create accounts on other grids. In fact, according to data from last month’s grid user survey, the average InWorldz resident has been to 3.4 grids — that they can recall, at least. That’s not the best showing of all the OpenSim grids. In fact, the average user has been to 4.5 grids other than their own, but since InWorldz is not on the hypergrid, and is often the first point of entry into OpenSim, it’s not a bad showing. Plus, by sheer numbers, InWorldz winds up sending a lot of people out to other grids. Recently, however, InWorldz has been lagging slightly. Possibly it’s because of the lack of hypergrid access, or the lack of ability to purchase content from the Kitely Market, or its relatively higher cost of land and lack of variable-sized regions. In 2015 and 2016, Kitely has registered more users than InWorldz, though it was close both years. The two grids have very different approaches to both technology and community. InWorldz focuses heavily on community building and support, while Kitely leaves much of this up to its users. Both grids have a lot of proprietary technology, but Kitely has kept their improvements mostly separate from core OpenSim, so they can easily upgrade when a new version of OpenSim comes out and benefit from all the community improvements to the platform. InWorldz either has to reverse-engineer the upgrades back into its own platform, or leave its users without those features. The features that InWorldz has developed, like its physics and scripting engines, don’t seem to make much of a difference to the majority of its users — InWorldz came in tenth in technology in this year’s reader survey. Both grids have a strong focus on content. But while InWorldz focuses on protecting the content that’s on its grid, Kitely makes it easy for its content creators to sell their content throughout the hypergrid — and even to many closed grids. While InWorldz and Kitely might be the most valuable commercial grids, and bring in the most new users, another grid deserves mention in this article, as well. OSgrid, the oldest grid in OpenSim, is the main testing ground for OpenSim developers. New features are tried here first. 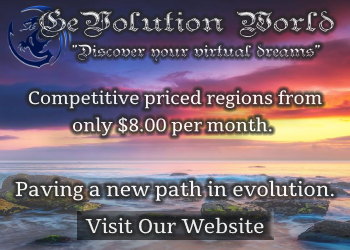 Many independent hosting companies started out on OSgrid, first offering individual regions, then moving up to hosting entire grids. And many communities got their start there as well, building up enclaves until they were large enough to move to their own grids. It hasn’t always been an easy path, with management changes and outages — including a six-month-long outage in 2014. But OSgrid is still there. It is currently the second most popular-grid by active users, and the largest by land area.